Sir, I want intercept and capture a print job and convert it to PDF & Plain Text & Image files and then print, I want a C# code for the same, could you please share? In case it is available in paid version we would go for it. OK, the original printing process will continue and without any interruption, but you will get PDF, PS, EPS, TIF, JPG, PNG, BMP, GIF, etc. formats during printing. As per you provided solution I have used method #2 as given in below email; followed all the step that is mentioned over there. 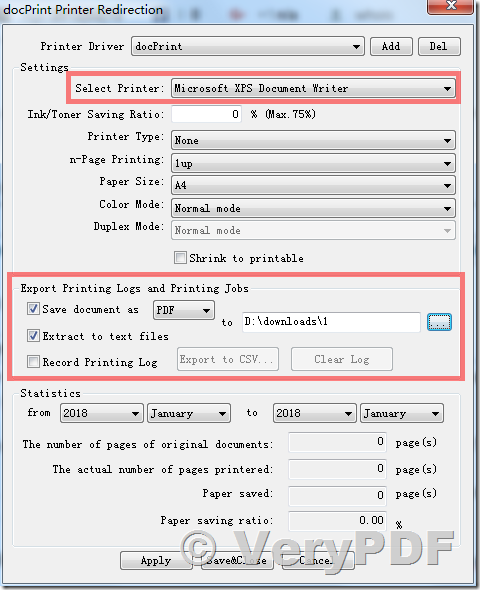 After successful installation of exe I got your virtual printer name docPrint Printer Driver in printer list. Though It is successfully saving the printing document in PDF at my location but printing got stopped after saving this pdf file. this means that nothing is printed after using this docPrint Printer Driver. Please do assist what setting I have to do in this case so that print will continue as well as saving the printing document at location. Do also let me know the pricing details of this software so that I can use the same for my own purposes. Maybe something is wrong during forwarding the print jobs, we will investigate this problem soon. Please check "Save document as PDF" and select an output folder to save the PDF files, click "Save&Close" button to close this dialog. 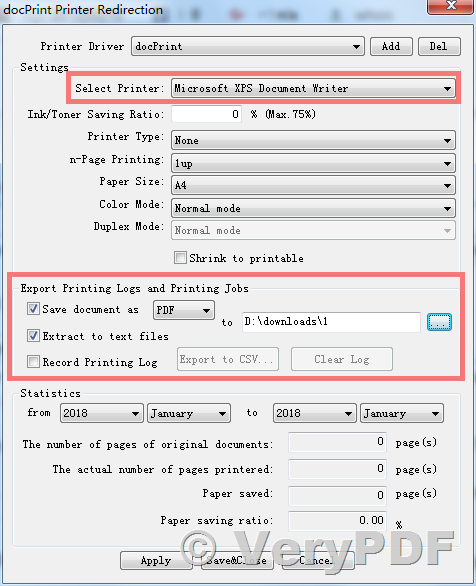 Now, you can print a document to docPrint, docPrint will save the PDF file to output folder and also forward the print job to target printer properly. We hope "-redirectprinter" option will work better for you, please give it a try. This entry was posted in docPrint Pro and tagged capture print job, capture printer, forward printer, hook printer, redirect printer. Bookmark the permalink.